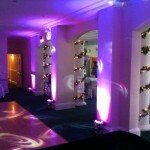 Great Fosters is one of the most romantic wedding venues in Surrey and a venue we love working at. Set amongst 50 acres of stunning gardens and parkland in Egham, it is the perfect setting for your wedding. In addition to hosting wedding receptions,the hotel is licensed to hold civil ceremonies and civil partnerships, both indoors and on the lawn. 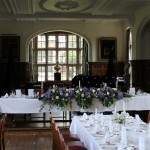 If you are looking for a beautiful Surrey wedding venue, then look no further! We have worked here numerous times and mainly in Tithe Barn. This really is a magnificent venue for your wedding and we find that our Mood Lighting service matches Great Fosters really well. 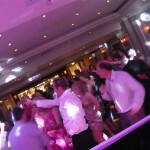 We have also provided Starlit Dance floors here as you can see in the pictures above.